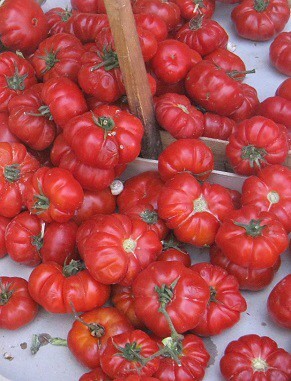 I went back this summer to my birthplace, Sicily and found traditional tomato varieties. 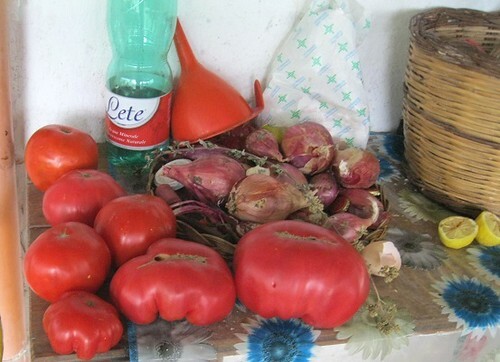 These are assorted tomato varieties from my village Alcara Li Fusi in the Nebrodi Mountains of Northeastern Sicily. 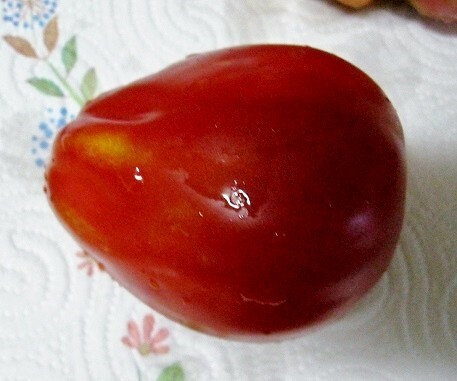 There are two cherry types which may show up in the pictures. 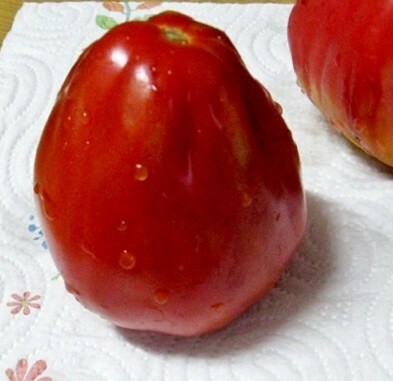 One which is completely sphere-shaped is traditional to my area, but the other which is more of an oval/grape cherry tomato is not traditional and is a recent popular commercial Italian cultivar. 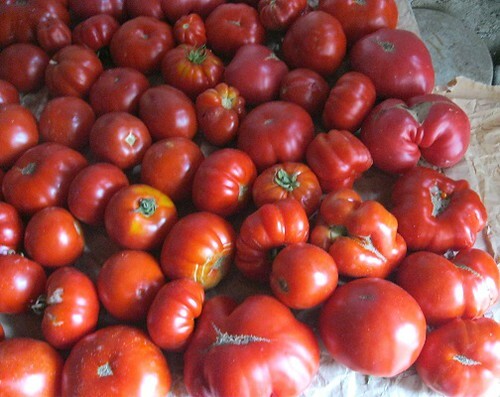 The fruits below are of landrace(s) used for making sauce. This one at first look might seem to be some kind of bicolor, but it seemed to just have yellowish-green shoulders. 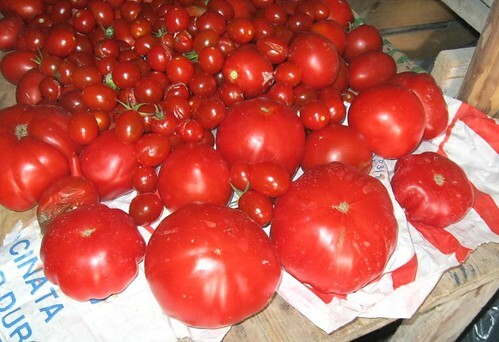 The photo below is of landraces used primarily for salads (as mentioned earlier the oval-shaped cherries are not traditional but the spherical ones are). 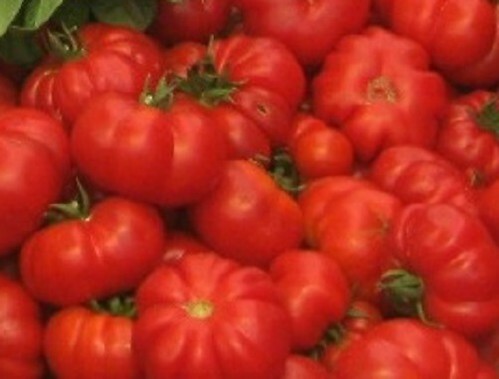 The tomato below is from one of the famous open markets in Palermo, the capital of Sicily. 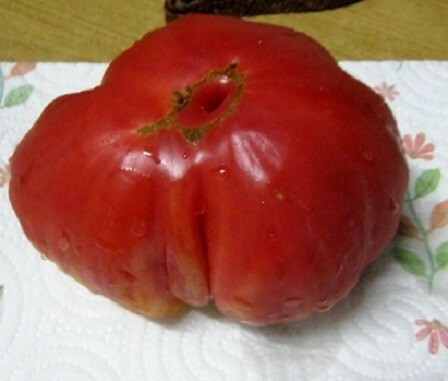 It seems similar to "Rosso Sicilian" sold in the U.S. 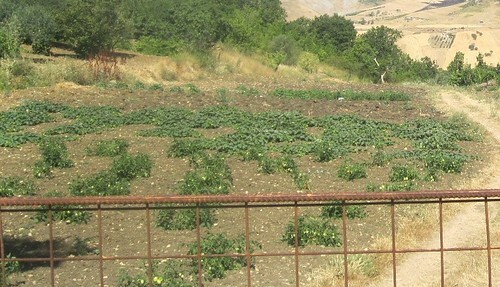 It is a little hard to see but below are plants of a traditional variety in Petrali Sottana in the Madonie mountains of Palermo province. 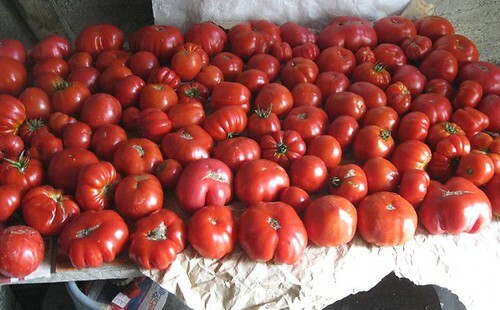 Of what I understand this variety is very low-growing (as in the photo) and produces medium size fruit for sauce and drying. Traditionally it is not watered or staked and is very drought-tolerant. Below are not photos that I took but they are of the same variety, called "Siccagno." Last edited by sicilianu on Sat Jan 11, 2014 6:50 am, edited 1 time in total. THAT was interesting and educational! Thanks for sharing! Agreed with webmaster above. Very cool stuff. 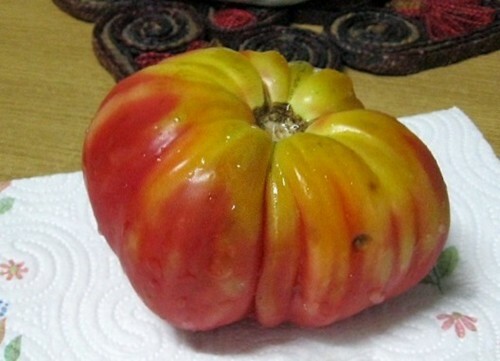 Beautiful photography, and beautiful tomatoes. 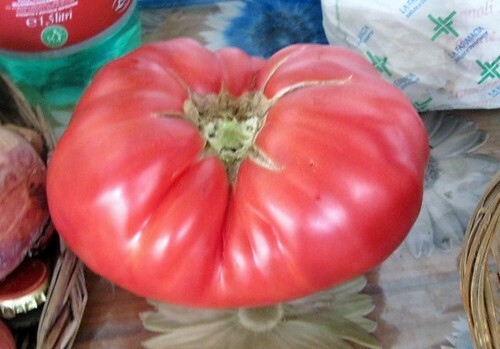 That ruffled one does look like Rosso Sicilian, also like Costoluto Fiorentino, or C. Genovese. All are wonderful sauce tomatoes, best there is , IMHO. Thank you for the tour! I want to go there! Love it! 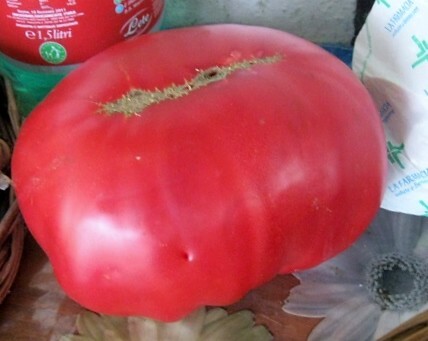 I do love tomatoes from the old country. 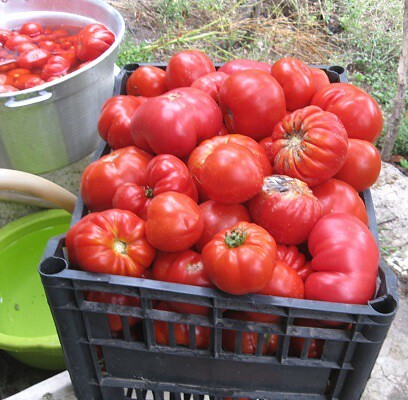 I have a Sicilian cousin, you would love him, the kind that "forces" you to eat and drink homemade fresh this and that all the time. Hope they do great for you.